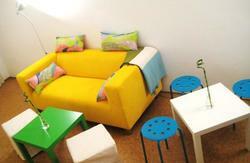 MOSAIC HOUSE Design & Eco Hostel is located in the center of Prague. Thanks to this amazing location you have everything you need just few steps away. This hostel offers a 100% non-smoking environment and has many award-winning Eco features. Mosaic House includes La Loca MUSIC BAR & LOUNGE where guests can enjoy social events and music every day. Friendly, sociable atmostphere and party vibe is combined with design and sophistication. All of the beautiful 55 shared and 41 private rooms have private bathrooms. We created new Mingle Dorms next door to Mosaic House. Mingle Dorms are offering communal fully equipped kitchen where our guests can cook own amazing food and meet other travellers. Mingle is young and wants you to have the best time of your life. We look forward to welcoming you in our hostel! Take the underground metro four stops to MÅ¯stek. Follow the transfer signs to Line B (Yellow Line). Take the metro Line B two stops to Karlovo nÃ¡mÄ›stÃ­. Exit the metro and follow signs to Karlovo nÃ¡mÄ›stÃ­ (not towards PalackÃ©ho nÃ¡mÄ›stÃ­). After the escalator, take exit E4 up the stairs to street-level and turn left. 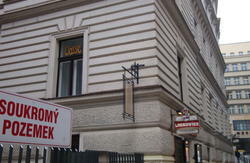 Walk to the end of the block and take another left onto OdborÅ¯ street (beside the Sony store). MOSAIC HOUSE is approximately 50m down the street on your left, OdborÅ¯ 4. The total journey should take between 45 minutes and an hour. Without exiting the train station, find the underground metro Line C (Red Line) and take two stops to I.P. Pavlova. From the platform at I.P. Pavlova, take the escalors up, pass through the metro entrance/exit, head straight and take the last right up the escalators to street-level. Take any tram going right and down the hill two stops and get off at Karlovo nÃ¡mÄ›stÃ­. Walk alongside the tram-tracks heading right and walk to the end of the block. Take a left onto OdborÅ¯ street (beside the Sony store) and MOSAIC HOUSE is approximately 50m down the street on your left, OdborÅ¯ 4. Or take a different route through JindÅ™iÅ¡skÃ¡ â€“ exit the train station and walk through the park, cross the street and make a right to JeruzalÃ©mskÃ¡, walk down the street (pass a synagoge). Get on tram number 14 in the direction of SÃ­dliÅ¡tÄ› Barrandov (tram goes through Wenceslas Square). Get off at MyslÃ­kova (4 stops) and cross the street. 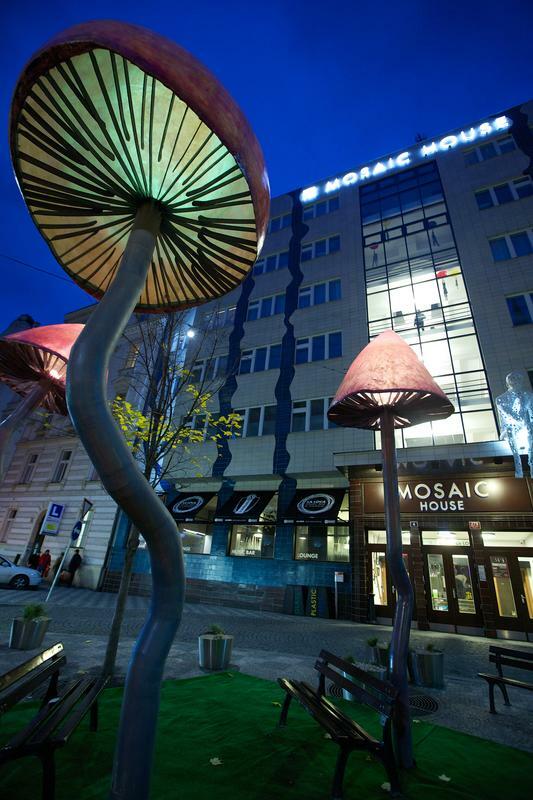 Around the corner you will see MOSAIC HOUSE (address OdborÅ¯ 4). Without exiting the train station, find the underground metro Line C (Red Line) five stops to I.P. Pavlova. From the platform at I.P. Pavlova, take the escalors up, pass through the metro entrance/exit, head straight and take the last right up the escalators to street-level. Take any tram going right and down the hill two stops and get off at Karlovo nÃ¡mÄ›stÃ­. Walk alongside the tram-tracks heading right and walk to the end of the block. Take a left onto OdborÅ¯ street (beside the Sony store) and MOSAIC HOUSE is approximately 50 m down the street on your left, OdborÅ¯ 4. Take the underground metro Line B (Yellow Line) four stops to Karlovo nÃ¡mÄ›stÃ­. MOSAIC HOUSE is approximately 50 m down the street on your left, OdborÅ¯ 4. Take the underground metro Line B (Yellow Line) one stop to Karlovo nÃ¡mÄ›stÃ­.